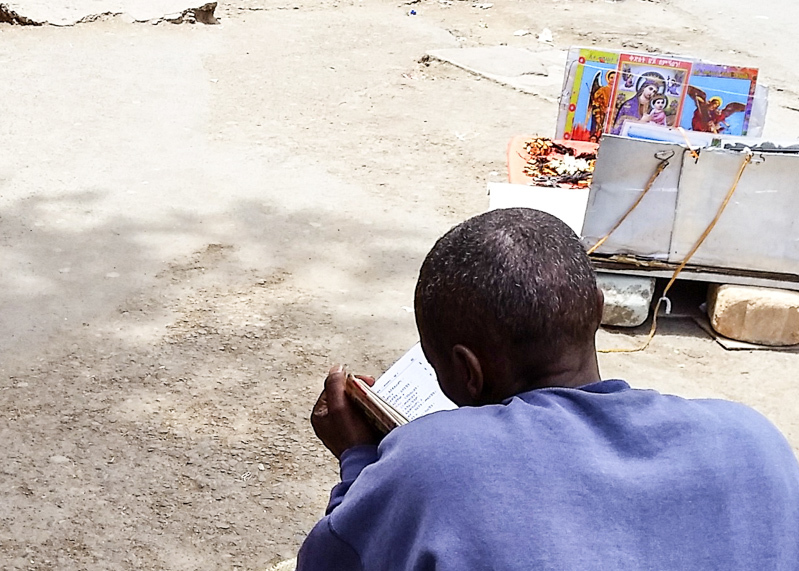 A priest, in Addis Ababa. The 7 Penitential Psalms set forth the meaning of the season of Lent which invites us to ask for God’s mercy and forgiveness. A psalm of David. For remembrance. every day I go about mourning. there is no wholesomeness in my flesh. I wail with anguish of heart. my groaning is not hidden from you. the very light of my eyes has failed. my neighbors stand far off. they plot treachery every day. who has no answer ready. O Lord, my God, you respond. exult over me if I stumble. my wounds are with me always. and grieve over my sin. accusing me for pursuing good. my God, be not far from me! my Lord and my salvation! This entry was posted in Lent and tagged Ethiopia, Lent, Penitential Psalms, prayer on March 16, 2016 by frjfkauffmann. 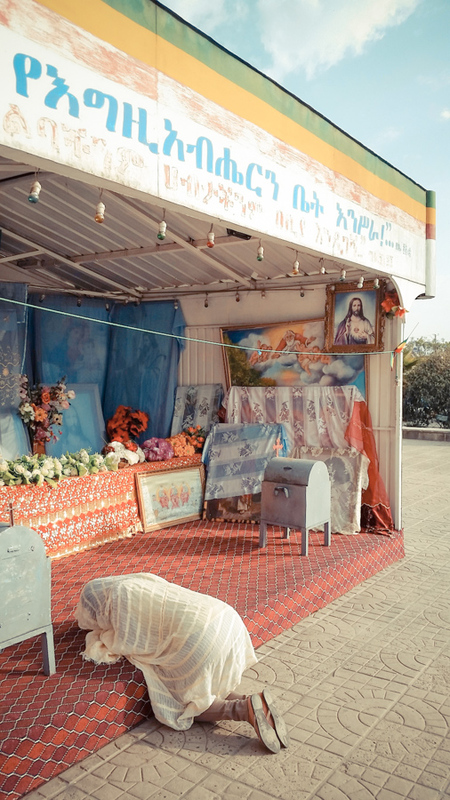 In Ethiopia, a woman prays at an outdoor shrine. The prayer of one afflicted and wasting away whose anguish is poured out before the LORD. LORD, hear my prayer; let my cry come to you. Do not hide your face from me in the day of my distress. Turn your ear to me; when I call, answer me quickly. My heart is withered, dried up like grass, too wasted to eat my food. From my loud groaning I become just skin and bones. I lie awake and moan, like a lone sparrow on the roof. All day long my enemies taunt me; in their rage, they make my name a curse. I eat ashes like bread, mingle my drink with tears. Because of your furious wrath, you lifted me up just to cast me down. My days are like a lengthening shadow; I wither like the grass. But you, LORD, are enthroned forever; your renown is for all generations. Its stones are dear to your servants; its dust moves them to pity. 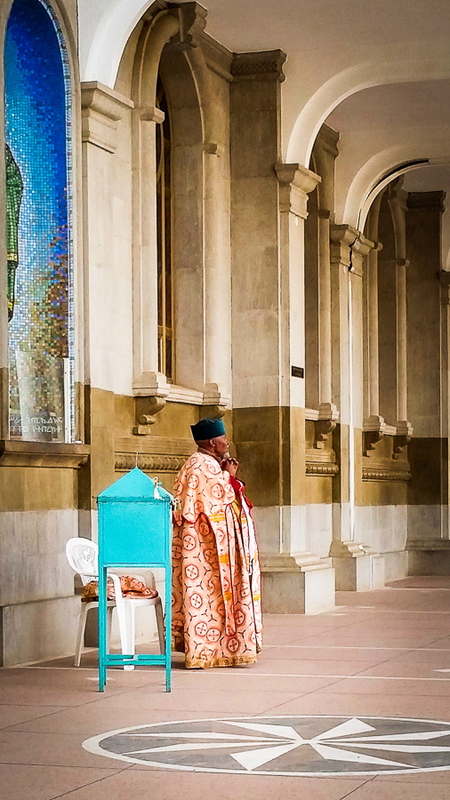 Heeding the plea of the lowly, not scorning their prayer. When peoples and kingdoms gather to serve the LORD. He has shattered my strength in mid-course, has cut short my days. I plead, O my God, do not take me in the midst of my days. Your years last through all generations. Of old you laid the earth’s foundations; the heavens are the work of your hands. but you are the same, your years have no end. may their descendants live in your presence. Psalm 102 in a setting by Alexander Archangelsk (1846-1924). This entry was posted in Lent and tagged Ethiopia, Lent, Penitential Psalms, prayer on March 9, 2016 by frjfkauffmann. else it will not keep with you. but steadfast love surrounds him who trusts in the Lord. This entry was posted in Lent and tagged Lent, Penitential Psalms on March 2, 2016 by frjfkauffmann. 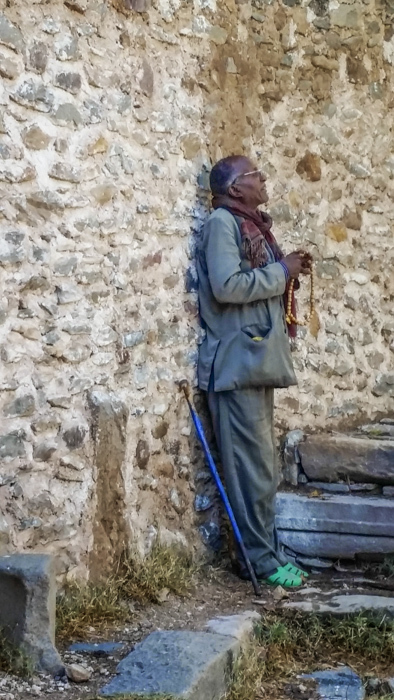 In Axum, Ethiopia, a man caught up in prayer. For the leader; with stringed instruments, “upon the eighth.” A psalm of David. and you, LORD, how long? Away from me, all who do evil! they will turn back in sudden disgrace. Psalm 6, set to music by Josquin des Prez. This entry was posted in Lent and tagged Josquin des Prez, Lent, Penitential Psalms on February 24, 2016 by frjfkauffmann. The Seven Penitential Psalms set forth the meaning of the season of Lent which invites us to ask for God’s mercy and forgiveness. Psalm 130, the De Profundis, has been set to music by many composers. Marc-Antoine Charpentier, who lived in the 17th century, wrote this version. Out of the depths I cry to thee, O Lord! This entry was posted in Lent and tagged Charpentier, De Profundis, Lent, Penitential Psalms on February 17, 2016 by frjfkauffmann.